(Denver, CO) June 13, 2017. 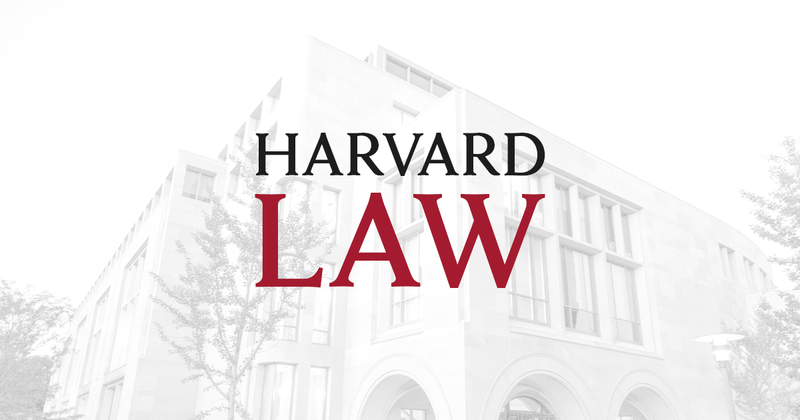 Betsy Fordyce, Director of the Youth Empowerment and Legal Advocacy Program at the Rocky Mountain Children’s Law Center, was recently awarded the highly selective Wasserstein Public Interest Fellowship from Harvard Law School. The Wasserstein Public Interest Fellows Program brings extraordinary public interest attorneys to Harvard Law to counsel students about public service. The Program recognizes exemplary lawyers who have distinguished themselves in public interest work and who can assist students who are considering similar career paths. Betsy’s long-standing career as a public interest attorney in juvenile law makes her the perfect subject matter expert to help interested law students learn more about this highly important and rewarding area of work. “I am honored to have the opportunity to share my experiences in child advocacy law with Harvard students through the Wasserstein Fellowship. Even with the most diligent and well-intentioned efforts of child welfare attorneys across the country, the need for zealous representation and system reform will far outlast all of us current advocates. By sharing my passion and mentoring law students, I can play a role in developing the next generation of dedicated legal advocates to continue the work for children and families,” says Betsy Fordyce. With a passion for authentic youth engagement and a vision to facilitate high-impact system change in the child welfare and juvenile justice arenas, Betsy currently directs a youth-led community-organizing program, where youth identify areas of needed change, and with her guidance and support, craft action plans to address those issues. Prior to rejoining the Children’s Law Center in December 2016, Betsy served as a staff attorney at the National Association of Counsel for Children (NACC). At the NACC, she worked with states across the country to develop and deliver training curriculum aimed at furthering high quality legal representation. This work built upon the 7 years she previously spent at the Children’s Law Center, during which time she represented the best interests of children and youth in the dependency & neglect and delinquency systems. She has advocated for youth in the Colorado appellate courts and has pursued potential policy solutions at the state level. Betsy’s early years at the Children’s Law Center certainly sparked an ongoing passion for this work. In addition to her public interest career, since 2012, Betsy has taught a child advocacy law seminar as an adjunct professor at the University of Denver Sturm College of Law. She continues to serve on a number of state committees, including the Colorado Court Improvement Project Steering Committee, the Colorado Juvenile Judicial Institute Planning Committee, and the Colorado 9to25 Council. Betsy received her juris doctorate from Villanova University School of Law in 2007 and her Bachelor of Arts degree from University of Notre Dame in Preprofessional Studies/Sociology in 2002. Rocky Mountain Children’s Law Center provides legal and clinical services and supports to children and youth who have experienced abuse, neglect and trauma. Over the past 35 years, the Children’s Law Center has served more than 20,000 children and has been a leading voice in advocacy and systemic reforms. RMCLC was named the 2016 Non-Profit of the Year by the Colorado Women’s Chamber of Commerce, and continues to forge innovative and trauma-informed partnerships and programs to promote safe childhoods and bright futures.